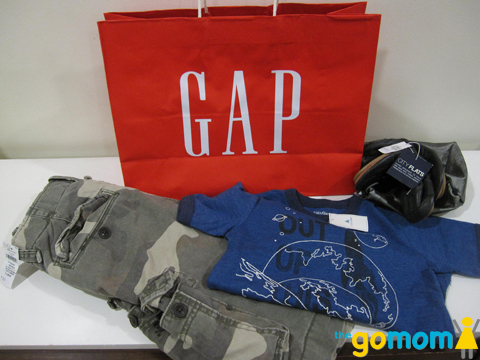 I went to the Citibank SSI Sale at exactly 11am yesterday and got some good buys from Gap. The items are generally 50% off but since they are brands carried by SSI even if it is 50% off, multiplier is still high. Lacoste fans can choose from 50% off shirts so now its between P2,000-3,000. Saw a nice looking pair of jeans which used to be P 14k now it's P 7k. Ok, I'm not probably not the right market because I'm not running a fever with delight. As my friend said, bargain prices are relative. I'm cheap. 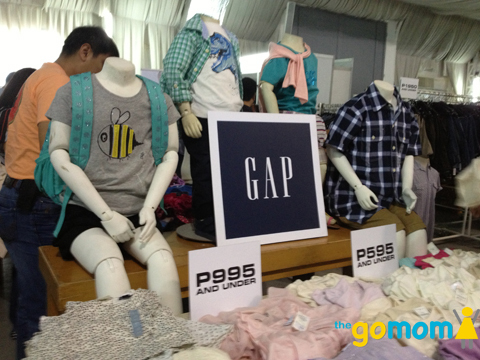 My budget for shirts and blouses generally run from P 500 to 1,000 max. And jeans, maybe 2-3k, not 7k! But I still managed to get some stuff in Gap. High end brands, nakiki uzi lang. Here is a photo summary of my loot and some sale items you might find interesting for you and your little one. 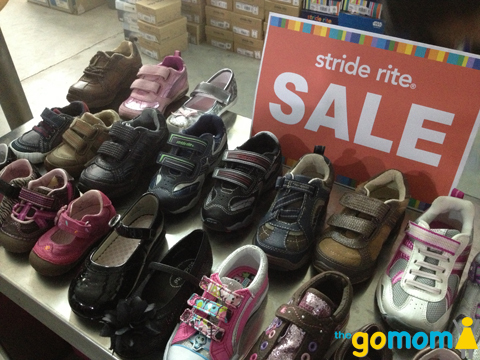 Stride Rite for Toddlers are 45% off. These shoes are now priced at around P900. 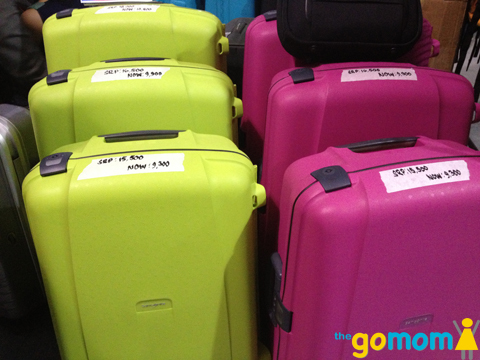 Eye candy luggage and some standard colors from Samsonite. Gap to me provided the reasonable buys. Prada shoes ... bags... Found beautiful Gucci bags that used to be P50k now down to P25k. 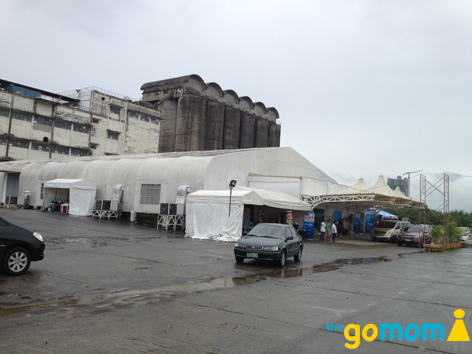 The mega tent is located between Wilcon and Dampa, Libis. If you are coming from Katipunan, you have to take the U-turn near Julio Vargas already. U-turn near Shopwise will not take you there. There is ample parking. 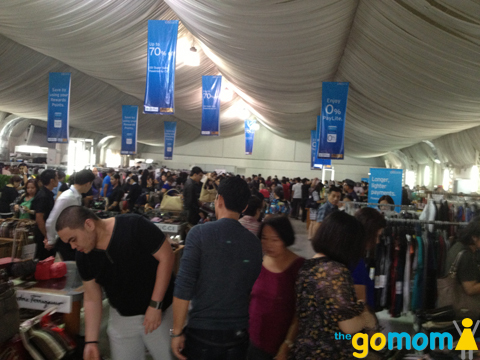 Sale is from 11am-9pm from yesterday October 25 to October 28, 2012. Happy Shopping!